If you have a balanced ecosystem in your garden, you don’t need sprays at all! That’s a difficult thing to wrap your head around when an army of bugs are eating your cabbage! 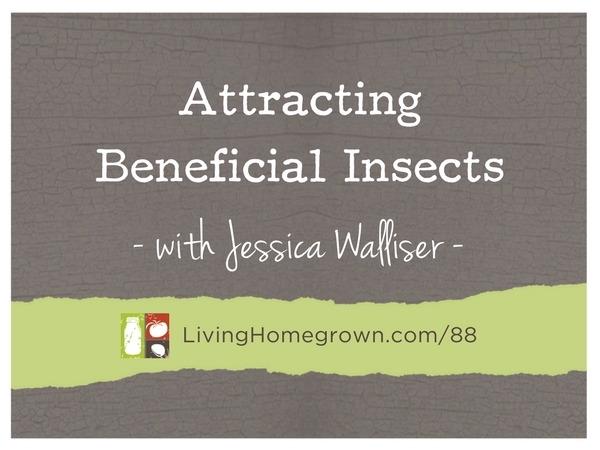 The trick is to not just focus on getting rid of bugs – but to focus on the balance of the entire ecosystem in your garden and the good bugs that you want to see. This approach is not always easy to figure out on your own, which is why I brought in horticulture expert Jessica Walliser. She has the education and the experience to help you balance your garden…naturally! How to make a beetle bump – trust me, it’s cool! 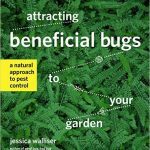 A former organic market farm owner, Jessica now co-hosts The Organic Gardeners radio show and is an award-winning author and a well respected authority in the organic gardening industry. She is a regular contributor to Fine Gardening, Urban Farm, and Hobby Farms magazines. For over 10 years she has written two weekly gardening articles for the Pittsburgh Tribune-Review. 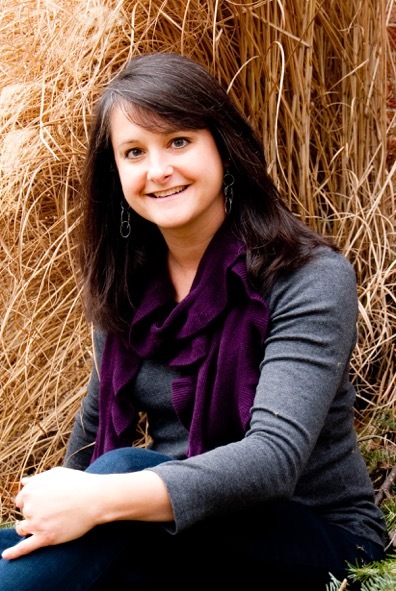 Jessica holds a degree in ornamental horticulture from The Pennsylvania State University. And she has taught about various gardening topics for over 20 years. She is author of the Amazon best-seller Good Bug, Bad Bug: Who’s Who, What They Do, and How to Manage Them Organically and blogs weekly for both SavvyGardening.com and HobbyFarms.com. 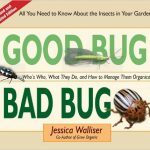 Jessica lives and gardens northwest of Pittsburgh, Pennsylvania with her husband and son, two cats, six chickens, two hermit crabs, and billions and billions of very good bugs. Ironweed Apparel – Jessica’s new T-shirt Company!